The Lirene Scientific Research Laboratory has developed a unique BIO hydration micellar gel which is based on the white water lily flower and encapsulated vitamin E. During application of the product, microspheres expand and active vitamin E moisturizes and nourishes the skin. 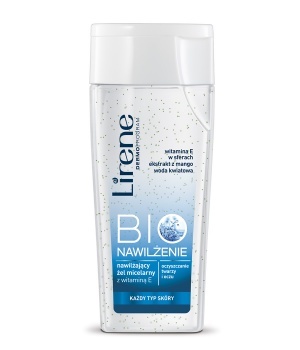 Micellar gel formula deeply cleanses the skin, eliminates the feeling of roughness and reduces the appearance of pores. The washing gel may be used in 2 ways (with or without water) or in their combination in order to achieve the best cleansing effect. It is recommended for all skin types.